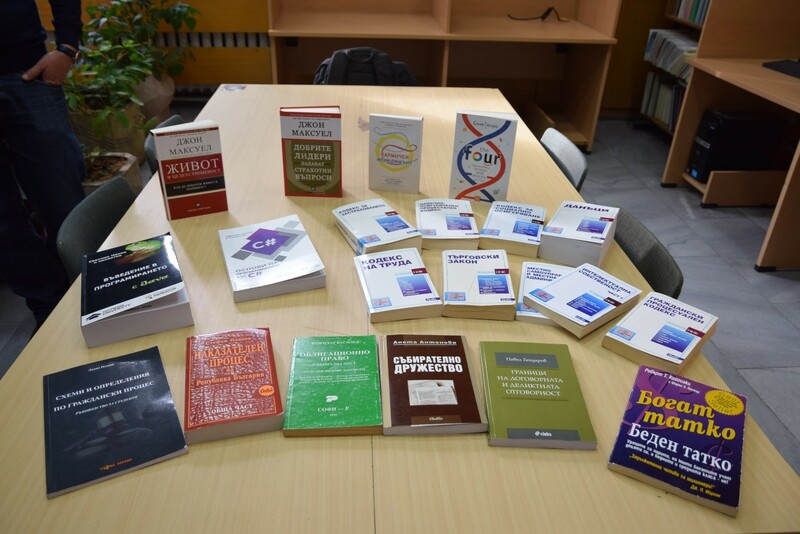 Twenty sets of books in the field of law, marketing, business, management and programming were donated to the UNWE Library by the Youth Business Club. In a letter to the Rector Prof. D.Sc.(Econ.)  Statty Stattev by the President of the non-governmental organization Nikolay Nekov is pointed out that the priority activity of the Youth Business Club is to provide a connection between the students, business and academic environment. The Club initially started at the UNWE also expresses its gratitude to the university for the successful cooperation over the years. Today we set the beginning of tradition – at least once a year to donate books useful for students in their study. 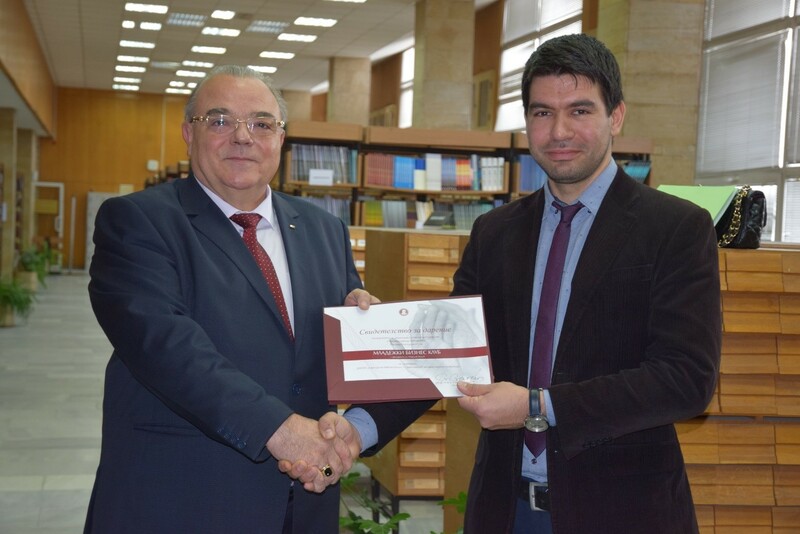 We expect that other UNWE graduates will also take part in such initiatives, said Mr. Nekov. 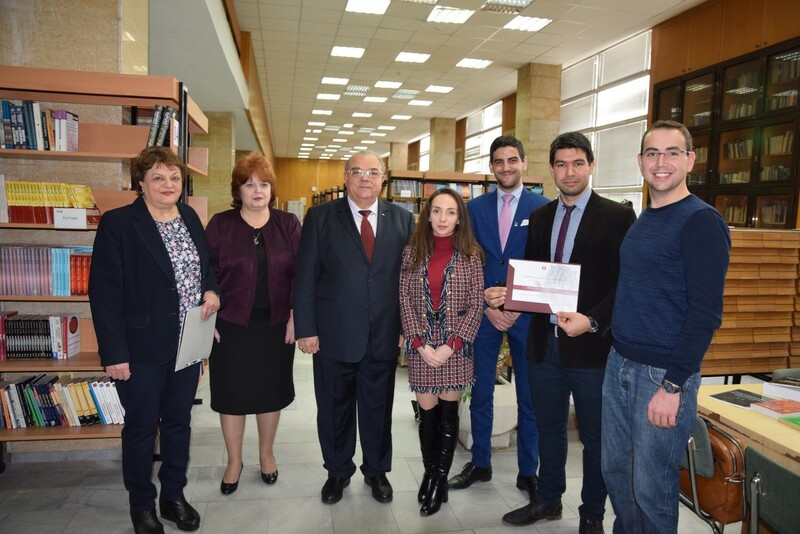 The most important thing is that these young people institutionalized as Youth Business Club revive an inherent Bulgarian tradition – the donation. It is the consecutive white swallow which will lead others and turn this initiative into broad student practice. The initiative has a tremendous spiritual sense of mutual help and social solidarity that gives different vision of academic relations and provides the creative comfort necessary for an academic institution, outlined Prof. Statty Stattev. The Rector invited the Youth Business Club to become part of the emerging Regional Center for Innovation Competence whose major motive power is the UNWE. 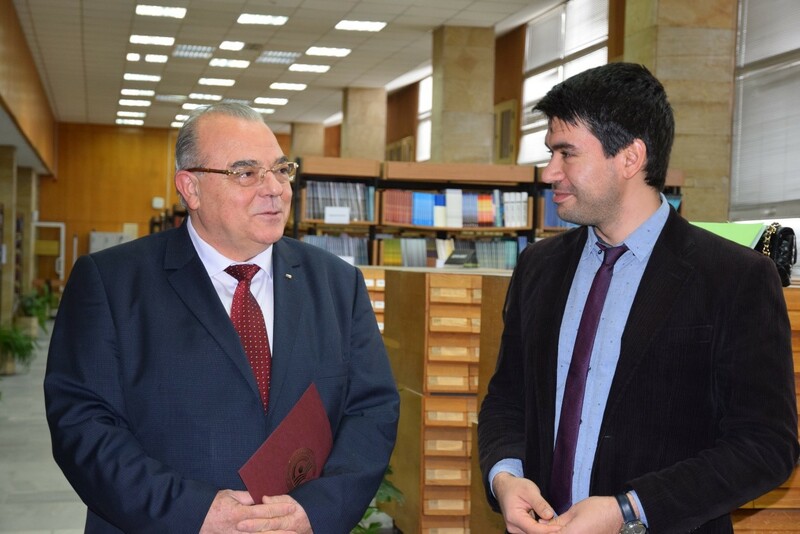 Prof. Stattev awarded Certificate of Donation to the Youth Business Club as a sign of thankfulness for the books (in the picture below).